The #MTBOS is an amazing group of dedicated generous teachers!! 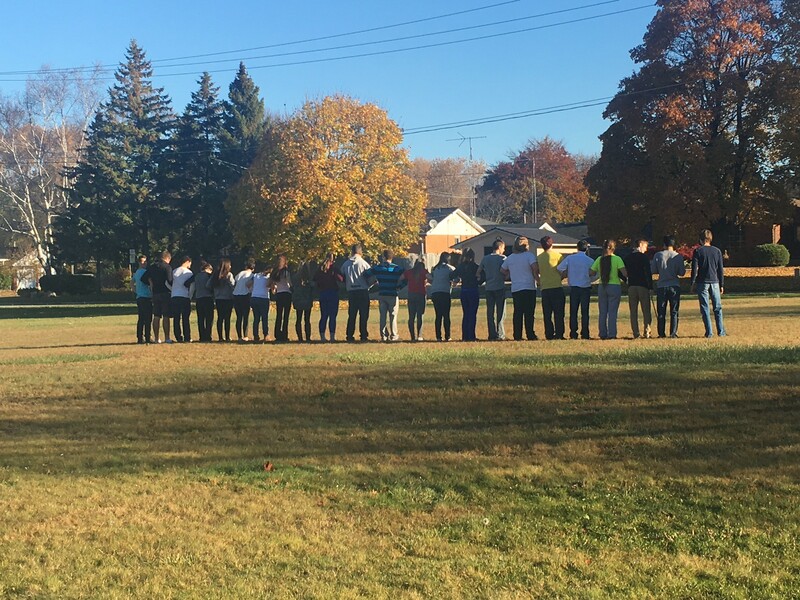 This lesson came together because teachers are happily sharing what they are doing! Dan Meyer has a series of blog post on Developing the Question you need to read. In one example he uses this video below to spark student wonder and start a fight. I copied his plan on how to use the video to generate discussion on speed. Pause the video before the bike is revealed and have students wonder “What is going on here?, What could the dots be?” Let the video play and then ask them to rank the dots from fastest to slowest. This is where wonder will happen. Are dots B and C moving at the same speed? What do we mean by speed anyway? Enter angular velocity vs. linear velocity. Show them this video obviously fake but fun video to generate some discussion. Main Question we looked at together:How fast is the top swimmer moving when he hits the water? How fast is his angle changing? Before we calculate any of these we’ll go and experience the difference between the two. 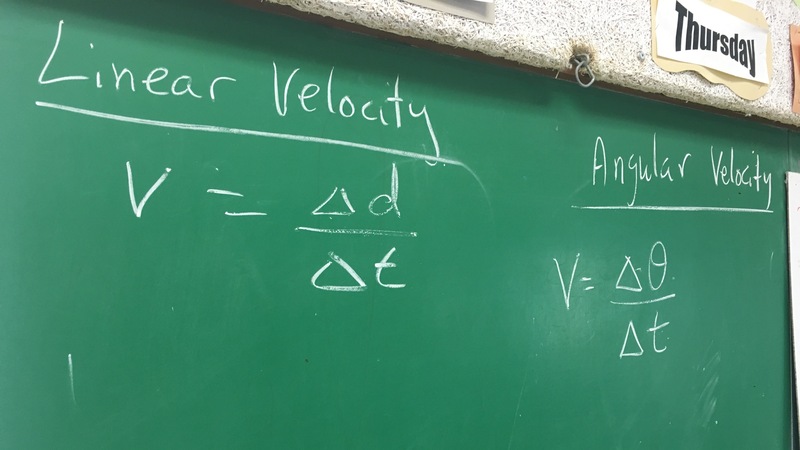 Bob Lochel has a great activity called Trig Whips where in groups of 4 students will experience the difference between angular velocity and linear velocity.  Read about it! 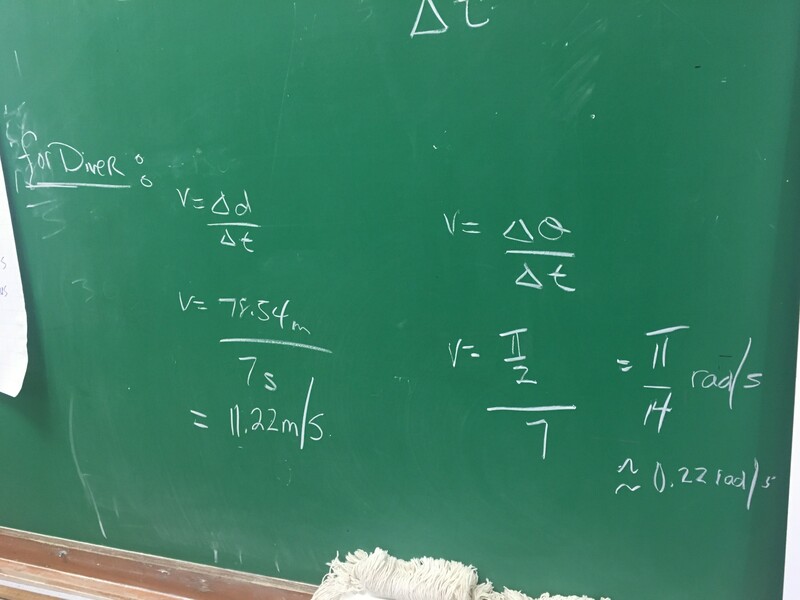 A few pics and videos of our class Trig Whipping! We came back in and summarized our findings from Bob’s handout. 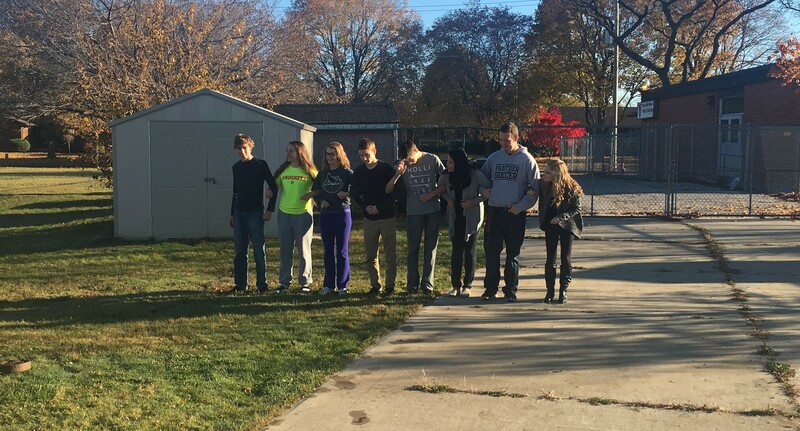 We made it clear that everyone had the same angular velocity but we all had different linear velocities. We turned our attention back to the diver video and determined the angular velocity and linear velocity of the top diver. That’s where class ended! Tomorrow we’ll start off with…. Tomorrow we’ll find Elmo’s ending position after the 1 minute, angular velocity and linear velocity. I have seen marching bands do this but with the person in the middle stays stationary and the two ends rotate. That would be cool too.